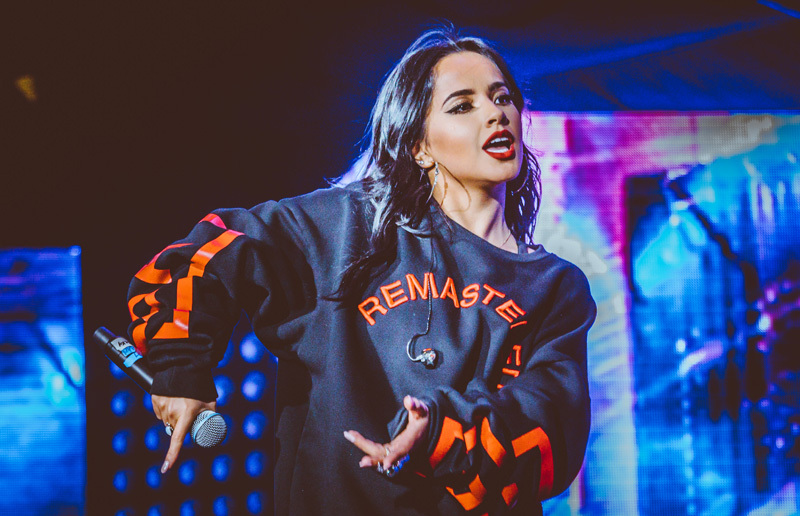 If you're as obsessed with Becky G as we are, there was only one place you could have been the night of April 20—DJ Alex Sensation’s Mega Mezcla concert. 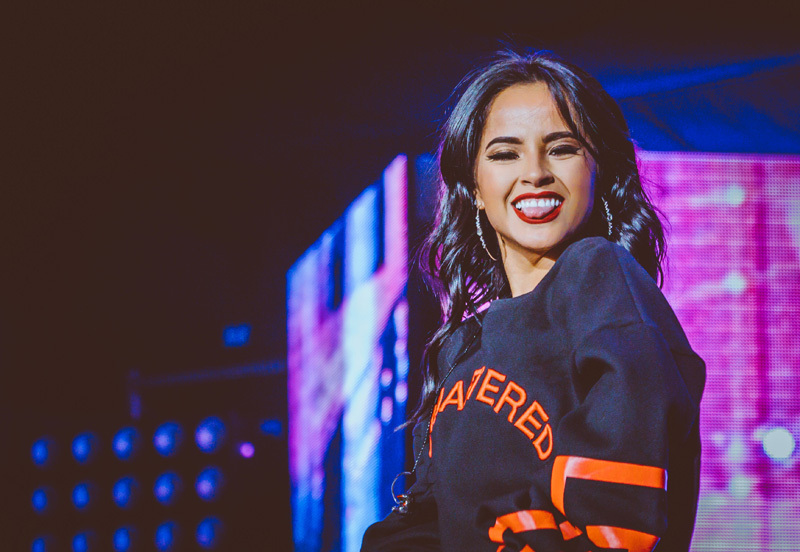 Renowned as a must-see event for urban-latin music lovers living in the tri-state area (and beyond), the annual fixture flows like a virtual live rendition of Sensation's wildly popular radio show on Mega 97.9 FM. 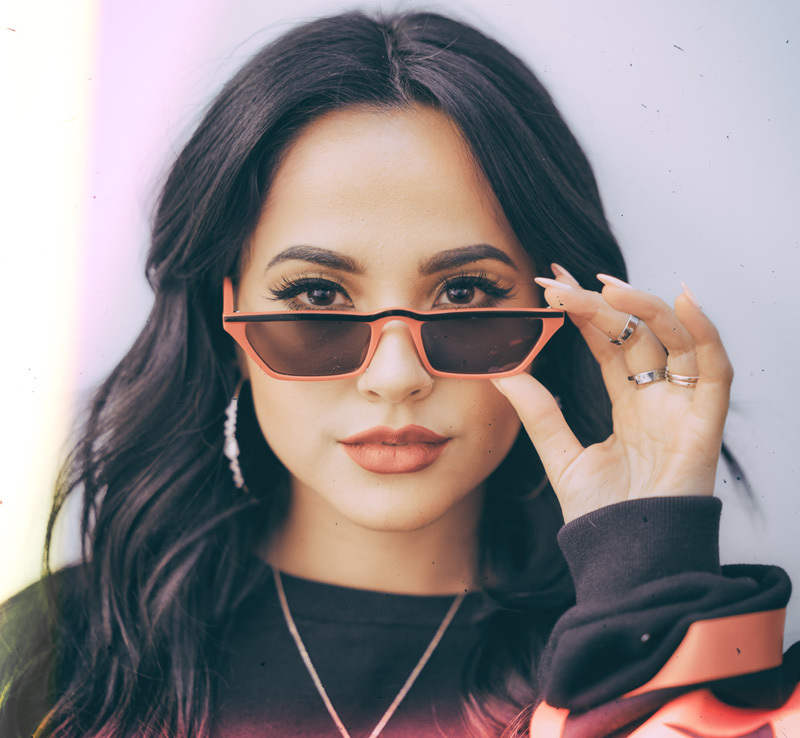 Just like the program, the live event featured some of today’s hottest acts such as Ozuna, J. Balvin, Nicky Jam, and, of course, the always fabulous, Becky G.
Since anthems like "Mayores" and "Sin Pijama" cracked the Top 10 on Billboard's Hot Latin Songs Chart, Becky G's name has been popping up left and right. 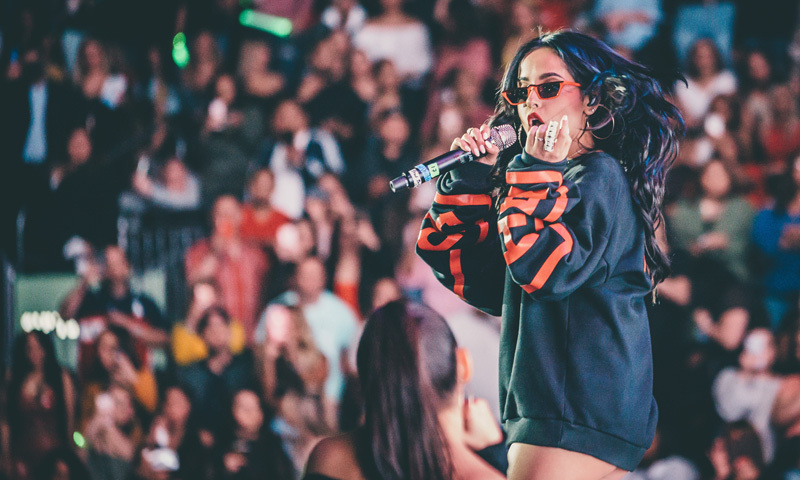 Championing female empowerment with every song the she drops, her music has become a staple for feminists everywhere. 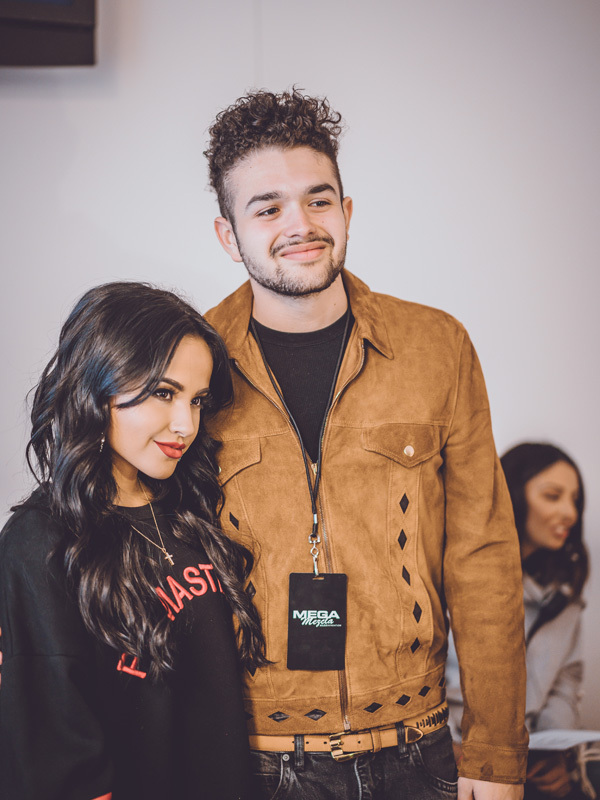 We were fortunate enough to spend some time with the songstress before she took to the stage at the Prudential Center. 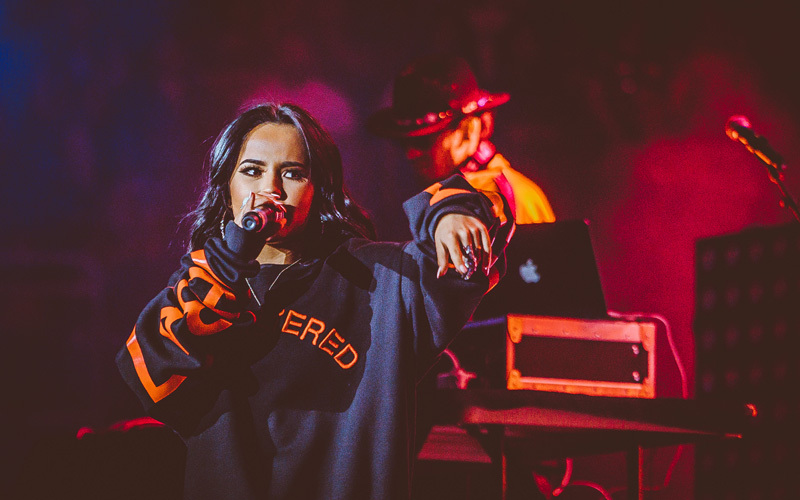 As down to earth in-person as she comes off in interviews, Becky G welcomed us with open arms in her dressing room. Having almost finished hair and makeup when we arrived, the singer/actress let us hang for some behind-the-scenes moments leading up to the show. 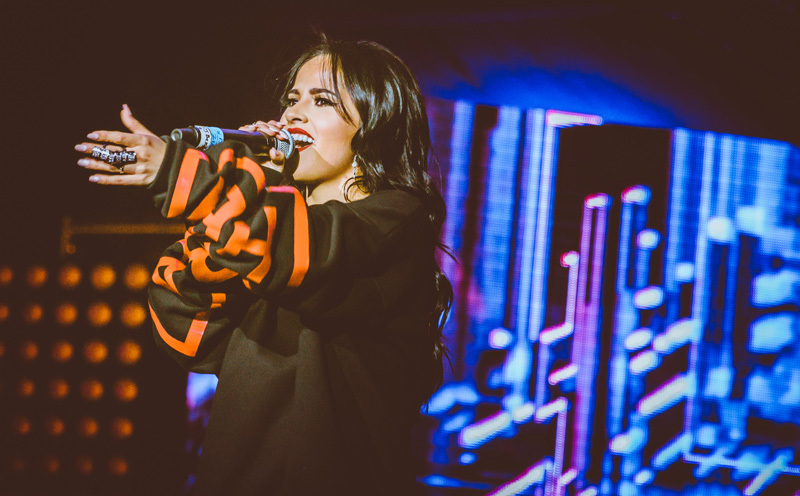 Check out shots from the show below, then make sure to Track Becky G on Bandsintown! 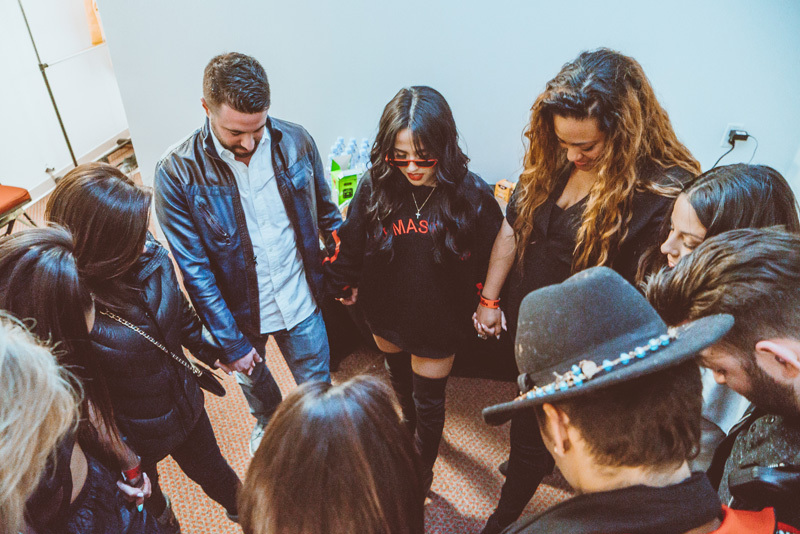 Becky led a prayer with her team. She had been deeply saddened by the passing of Avicii, and kept him and his family in her thoughts and prayers before the show. Making notes on the setlist. 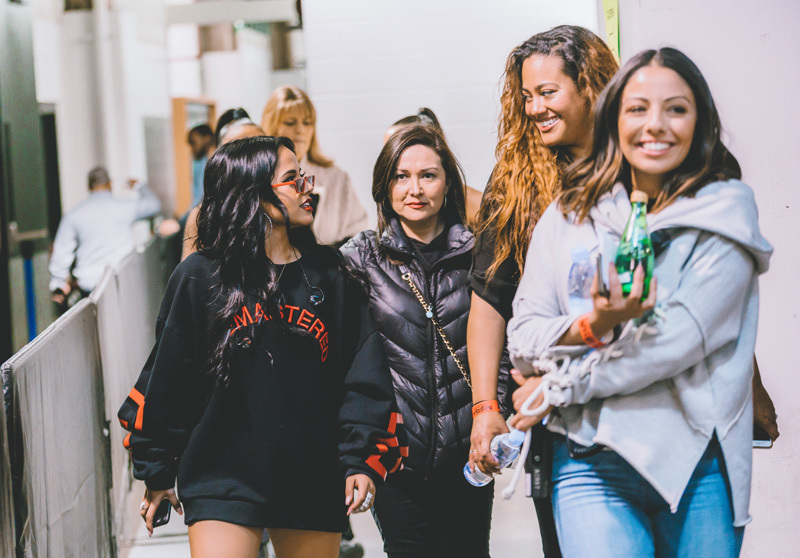 Walking to the stage with her team. Posing for pictures with her dancers behind the stage. Becky walking to the spotlight in front of 19,000+ people at Prudential Center. 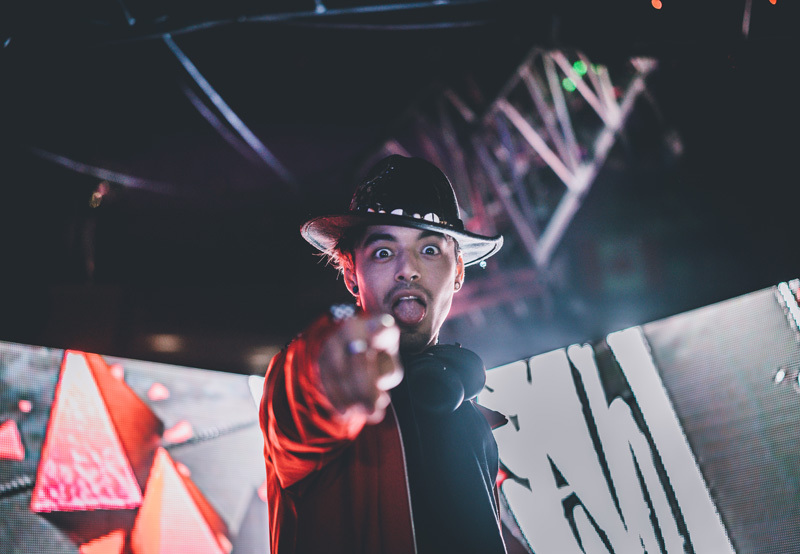 Becky G’s DJ, DJ Awsumo killing it onstage.